Click on the links below to learn or hear more. 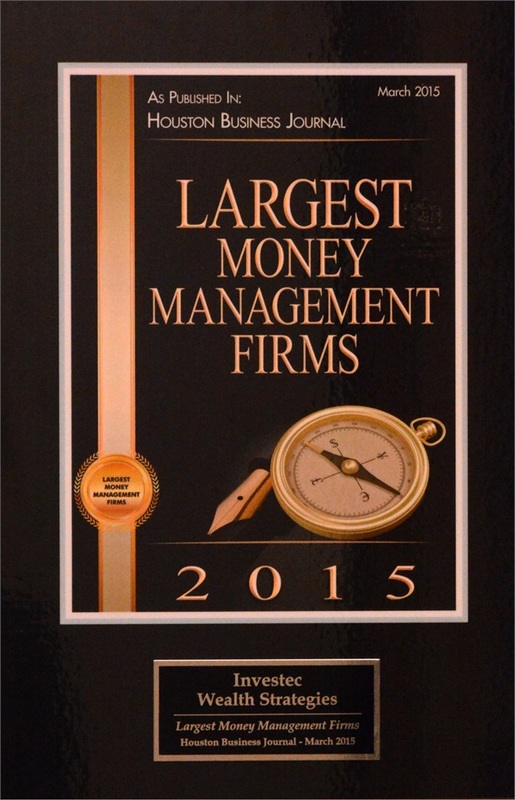 Investec was named as one of the Largest Money Management Firms in Houston in the March 2016 edition of the Houston Business Journal. 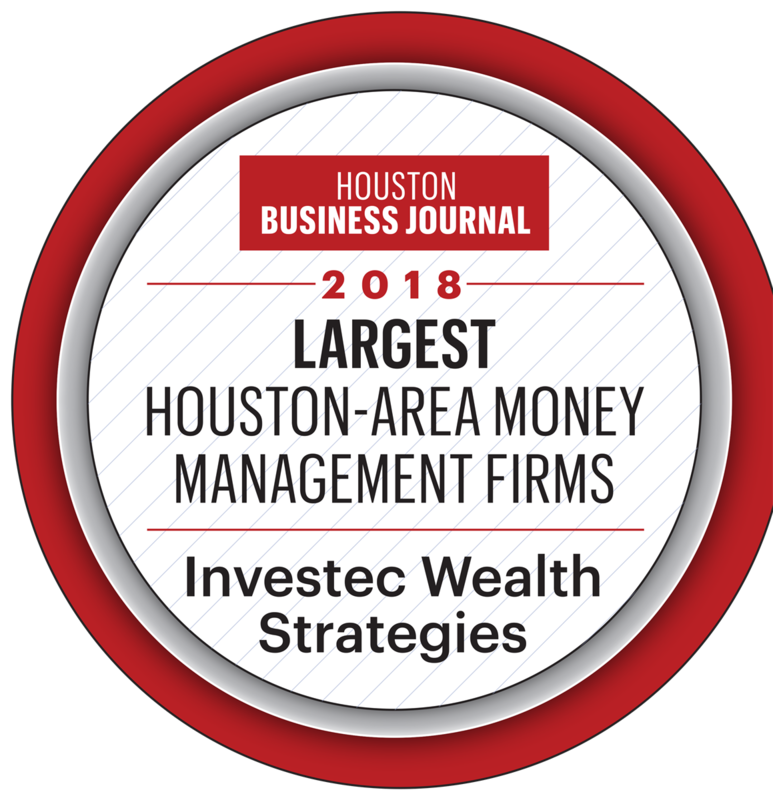 Investec was named as one of the Largest Money Management Firms in Houston in the March 2015 edition of the Houston Business Journal. 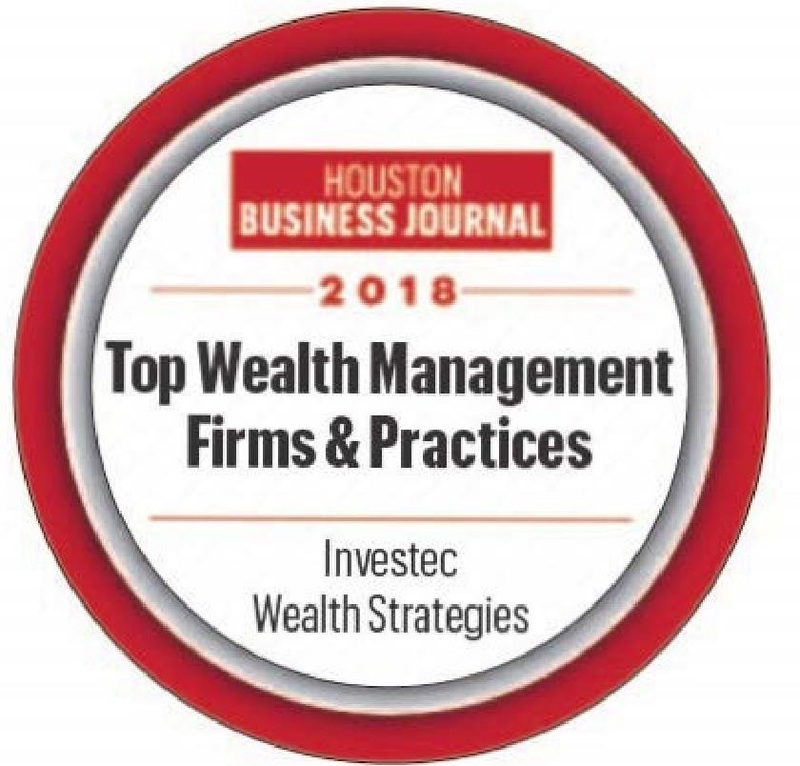 Investec was named as a NABCAP Top Wealth Manager of Houston in the June 2013 edition of the Houston Business Journal. 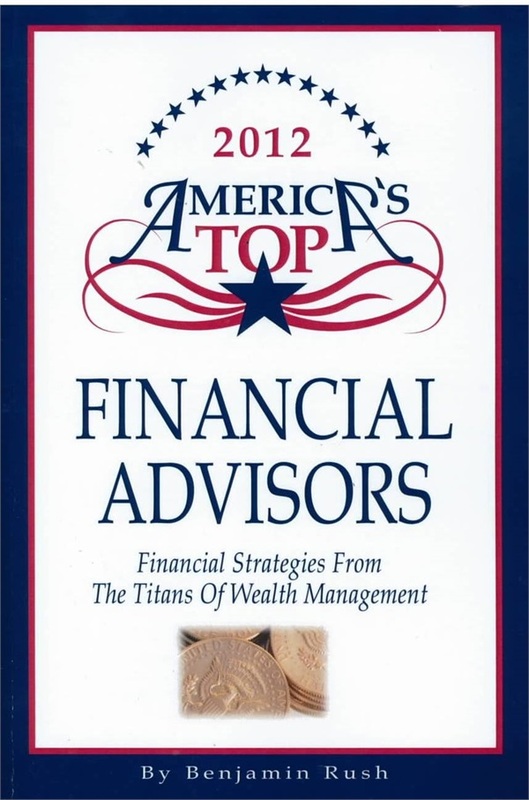 John was selected as a Top Financial Advisor in 2012 and profiled in a book called Financial Strategies From The Titans of Wealth Management. Investec was named as a NABCAP Top Wealth Manager of Houston in the June 2012 edition of the Houston Business Journal. Daniel Goott featured in the December 2009 Houston Business Journal article titled "Finance experts: Investors, attitudes changed permanently". 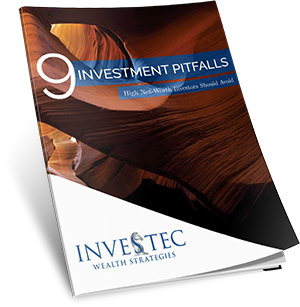 The article features Daniel's comments regarding investing in the market after the economic collapse of 2008. John Goott interviewed for the September 2009 Houston Business Journal article titled "Forced with uncertain times, clients are looking to 'traditional' investments". John shares his insight on government spending and the impact it will have on investors ranging from taxes, healthcare, and inflation. Daniel Goott quoted in Wealth Manager February 2008 magazine's special technology edition regarding websites for financial advisors. Happily Ever After... Expert Advice for Achieving the Retirement of Your Dreams. This book was written in 2007 by 14 financial advisors from around the nation. 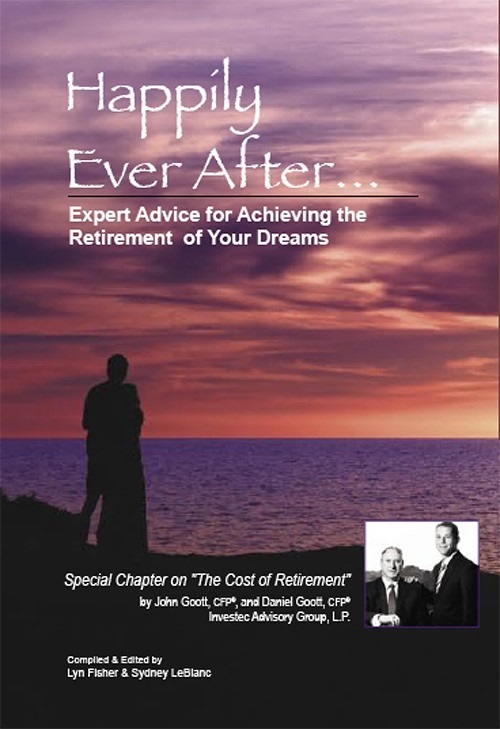 John and Daniel wrote Chapter 2 of the book, The Cost of Retirement. John and Daniel featured in the Houston Chronicle Business section in May 2006. The article describes the high level of service Investec provides its clients and coins the service level as "That Personal Touch". Daniel Goott’s interview on NewsTalk 1070 AM with Bill Boyar, Shareholder of the BoyarMiller law firm.